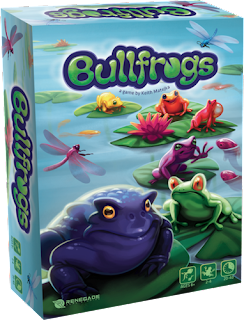 Cute looking with lily pad cards and bullfrog meeples, Bullfrogs is a quick area control game of tactical combat. 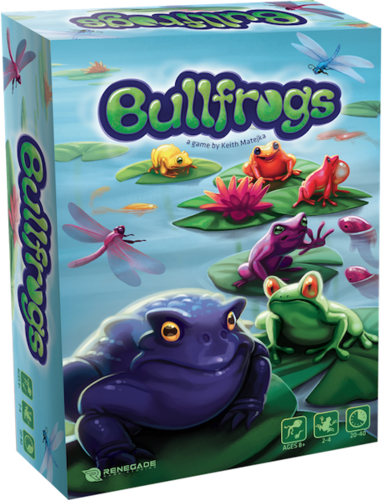 Players take command of competing frogs clans in an attempt to outmaneuver each other for dominance over the pond. 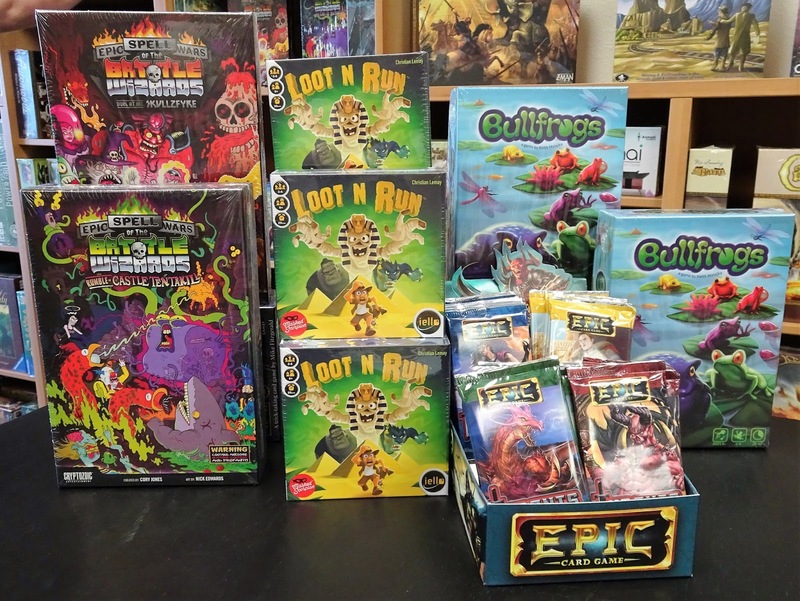 You will battle for lily pads by deploying, sabotaging and jumping frogs on an ever-changing pond of lily pads. 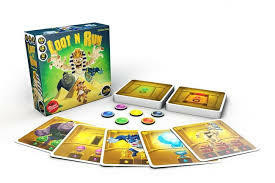 Loot N Run is a light press-your-luck with a little bluffing card game. 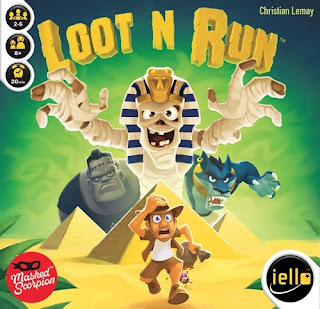 In a game of Loot N Run you are trying to score as points as you can. 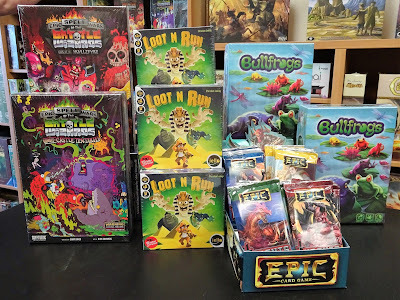 You do this by either collecting and hopefully scoring your treasures or by awakening potential monster guardians on your opponents treasure cards. 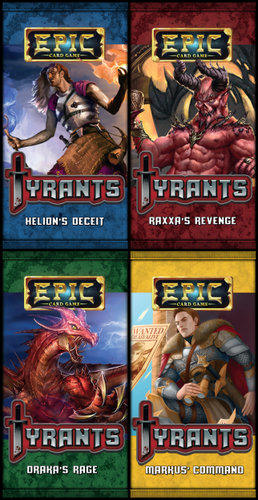 Tyrants is the first expansion to the base game, Epic Card Game, a strategy card game of mythic battles. Helion's Decit - this great mage has seized power at the Forbidden Citadel and is manipulating events all the way from the city of Covenant to the Dargothian Mountains. Draka's Rage - reigns supreme in the Dargothian Mountains and those who don't submit to his rule risk a fiery death. Raxxa's Revenge - this demon tyrant is summoning his minions to spread destruction and solidify his power. Markus' Command - enforces his harsh brand of justice on the people of Covenant, rumors of a rebel leader have begun to inspire the masses to fight back.